Image 1: The Story of Seething Exhibition. Jan – May 2015. UCL Anthropology (Photo Credit: Timothy Carroll). UCL promotes itself as a leading global university and frequently ranks amongst the top institutions in the world; it also houses the UK’s largest Anthropology department. The department has an international reputation as a leader in Anthropological research with a particular history and strength in material culture studies. 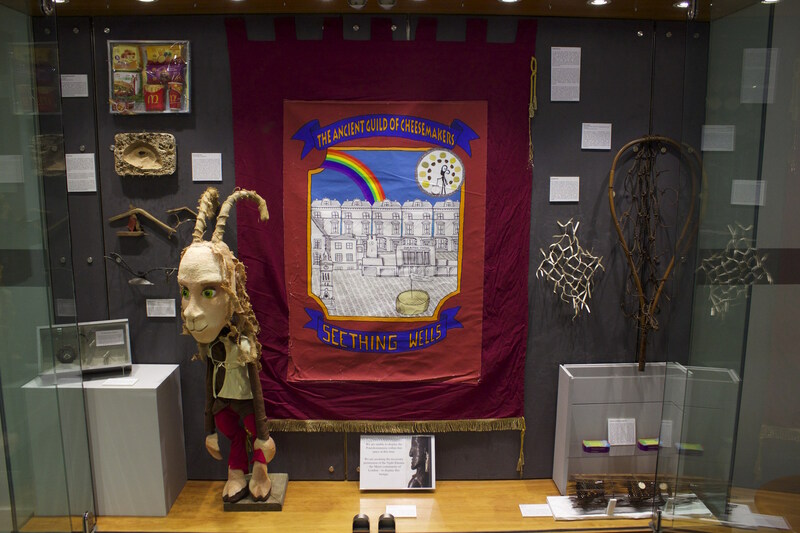 Upon entering the department’s central London campus one is greeted by a reception replete with well-lit display cases which house exhibitions of current UCL research and items from the extensive and rich Ethnographic Collection. Naga basketry helmet with crest of hair from Upper Chindwin,Burma. Collected by the Vernay-Hopwood Chindwin Expedition in 1935. American Museum of Natural History 70.0/6374. This remarkable exhibition features an assortment of rarely viewed objects carried on the expedition and collected in the field, including clothing, saddles, weapons, photographs, and film footage. This is a short commentary on the current special exhibition at the Musee du Quai Branly, Paris’ “Museum of the others”. The exhibition, Cheveux Cheris: Frivolites et Trophies, translated into English as The Art of Hair is curated by Yves LeFur, Director of the Museum’s Heritage and Collections Department and draws on the museum’s extensive collections of objects made from (mainly) human hair and images of people and their hair. The argument is that hair is universally a powerful cultural and aesthetic medium. The result is a series of disconnected objects and images that contain an underarticulated narrative of gender, oppression, violence and power. Does the camera ever lie? A new exhibition shows that photography has been doing exactly that since its inception. From fairies at the bottom of the garden to ghostly visitors, here is a slide show of the best manipulated images (from the BBC Website).